Hauck is a household name in the baby travel systems industry. 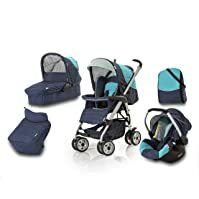 The company has maintained a high reputation by providing high quality travel systems for the overall comfort of babies who want to travel with their mums. Their brand is known for durability, ease of use, and extremely lightweight. 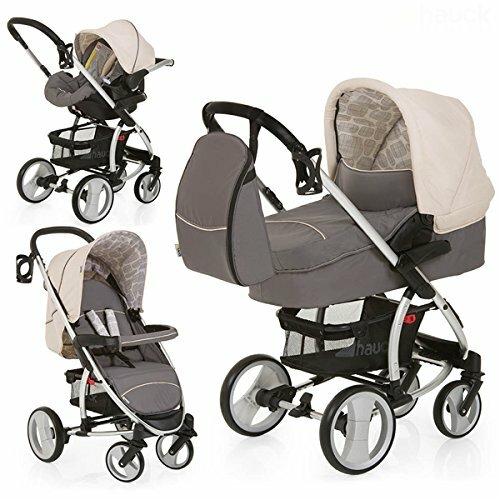 If you are looking for a high quality baby travel system, the Hauck travel system is a good recommendation. This review is going to critically present the top three models from this brand, focusing on their features, pros, cons and the reasons why they are the best models from the Hauck brand. 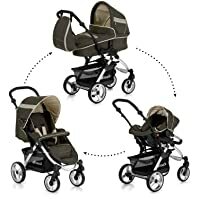 One of the most important things to consider when selecting a travel system for your baby is the weight of the system. Well, if this is also your criteria, the all in one Hauck Malibu surely meets that criterion. It has proven over the years to be lightweight, flexible and extremely reliable. It is flexible enough to be relevant and be useful through various stages of your baby’s development until they grow into toddlers when they may not need a baby travel system. The base of the travel system is made with a robust built frame designed from high quality aluminum. This makes it very light and at the same time strong. The lockable and swivelling air chamber of this brand has a large wheel diameter that makes the wheel easily manoeuvred on any surface. It is also equipped with a brake that will help you keep movements safe and secured while on the road. It is equally designed to be folded easily due to its compact design. This ensures that you can easily transport it in your car and still have space for other things. Another great benefit of having this travel system is the properly designed carrycot which comes with a soft protective cover, making it an ideal place for your new born baby to rest and sleep when traveling and even when a home. That’s not all! The Hauck Malibu travel system comes with an insect safety net to ward off mosquitoes and pesky flies from your baby’s comfortable sleeping zone. Another great feature of this wonderfully designed travel system is the 0+ comfortable car seat designed to provide utmost comfort for your child when travelling in the car. The car seat comes with a steady side impact protection and a comfortable 3-belt system for more safety and protection of your child. Since the impact protection system is properly fixed onto the pram frame, there is no need for an adapter. The Hauck Malibu has a 3-way adjustable footrest and a limitless adjustable backrest which provides the best support for first outings to the kindergarten or crèche. It equally comes with a comfy seat wedge and head rest that gives your child a great relaxation position and an enjoyable ride. You can easily remove these pads whenever you want. 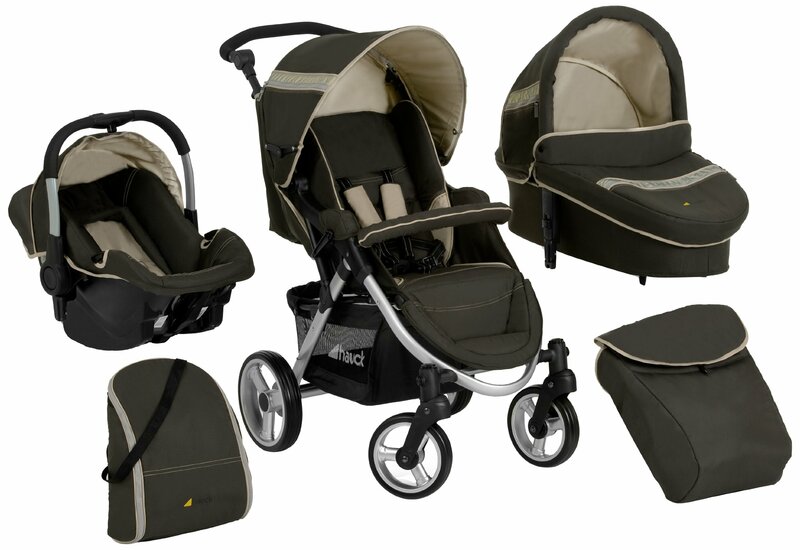 The Hauck Malibu travel system does not have many flaws but one noticeable one is the cost of the system. It is more expensive than most other models in the market. Hauck Condor is another excellent model you and your kid will love. It has one of the sleekest designs in the market and is made with proper care. It is another stroller designed with high quality aluminum material. Aluminum is arguably the best type of materials used in designing travel systems because they are very light and can be very durable. This model has other great features such as the rain cover, boot cover, handy changing bag and 0+ comfort seat. Hauck Condor is highly regarded in the industry as customer reviews and high user ratings on Amazon have shown. It is ideal for children from birth to about 40 pounds, making it comfortable throughout their baby and toddler years. With the pram and condor buggy all in one place, your child can start off with the former and then graduate into the latter when he/she starts sitting. This model is designed with adjustable footrest, padded head protector for safety, 4-way adjustable backrest, a large shopping basket for safekeeping of your baby’s accessories and swivel front wheels that make it quite easy to manoeuvre. With all these features in place, you are certainly going to give your baby a comfortable place to relax and sleep. It is easy to convert from a pram to a stroller without disturbing your child in her sleep. It does not have two seat options for smaller and bigger babies. The car seat of the travel system may look small for a large baby. As the name implies, this is an all purpose travel system at the highest level. 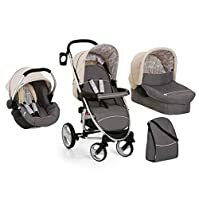 Whether you want to use it as a comfortable sleeping place for your baby or just as a shopping stroller to conveniently carry your baby when you shop, this travel system is designed to meet all your needs. The Apollo travel system has lots of features such as a comfortable footrest, a 4-position backrest, a removable bumper bar and a 5-point harness for safety and comfort. This is arguably the most versatile model in the Hauk Travel brand since it is designed with all the features necessary to make it a travel seat as well as a stroller. Another great feature of this model is the extension canopy that protects your child against wind, sun and other weather. It is also worthy to note that the Apollo travel system has one of the finest wheels when it comes to maneuverability and durability. The swivel front wheels provide a smooth ride in all types of environment. It can equally be locked into position to help you maneuver in a bumpy surface. Additionally, it comes with an adjustable bar to help you adjust and customize it to your size. This is important to make it easy to handle by different sizes of people. So, be assured that you will be comfortable using this travel system on your child no matter your height. There are very few cons associated with this model. However, some customers have complained that the bag that comes with the product is too small to carry many items. This means that you will need a separate bag if you intend to carry many items along with you. The above are the 3 best Hauk Travel systems available in the market today. They all maintain very high customer reviews and user ratings on Amazon and have been approved by experienced mums who understand the need for a safe and convenient travel system for their babies. Although they are not without flaws, their benefits certainly outweigh their downsides. Compared with other brands, the Hauk Travel brand is definitely up there as one of the best travel systems in the market today. You will certainly enjoy great service and provide a comfortable place for your little one if you order any of the above models.